What caused the huge GBP/AUD spike at the beginning of 2019 on January 3rd and how can you protect yourself as a trader from this type of price movement? I am using tradingview to look at price charts and I’ve noticed a big price movement on January 3rd at the beginning of this year. I was wondering what could happen if I had a short position at that time and how to prevent wiping out all of the profit that I’ve made trading, as the price movement is pretty huge (around 2000 pips). If a regular stop loss is unable to trigger at the desired price, because this type of movements usually go 200 pips per tick, then I was asking myself if forex was even worth the time and effort to trade. Please share your opinion about this situation and what would you do to prevent this from happening to you. Only invest however much you can afford to lose in the blink of an eye. i wonder if an expert can close the trade ? An expert advisor would have the same problem, because what it does is simply automating a process that a human would normally do when making a trade. Some brokers offer a guaranteed stop loss, but how “guaranteed” that stop loss is, that’s another topic. There are two issues with days like 03/01 with huge range. One is being caught long when the market drops. The other is capturing the exceptional profit from a short position when price makes an exceptionally deep spike intra-day. 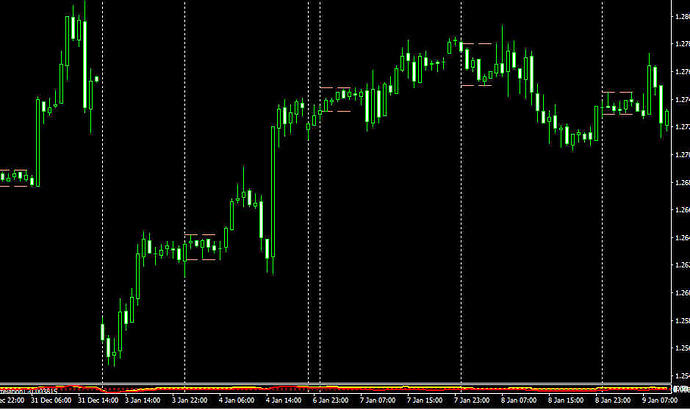 In summary, if you were trend-following AUD, you should have been short. I was not in AUD but I was short NZD across the turn of the year and it was my best trade so far in 2019. As for capturing unexpected profits, that’s down to either watching your positions or related newsflow, or setting a take profit exit order way ahead of price. Yep Henry’s got that one right. That wasn’t a spike, it was a gap. Stops do not work in gaps except you have ‘guaranteed stops’ - most guys simply exit pre-break. One thing to learn: the concept/reason of gap filling. I want to update my previous post, Henry’s got that partially correct. and your number of trades is limited by the account size as well. I have one of my accounts set to 2.5% and 1% and I seldom get shut down but it does happen. So That said I have developed risk tolerance rules so that if all goes wrong that session I will live to trade another day. Thus I will not risk more than 1% per trade and usually only 1/4 to 1///2 of that 1 %. If my trades in total reach 3% I am out. Yes, I risk-averse. But you know what I will be here tomorrow no matter even if I have a bad day. Will it take me a little longer to make the next few mil, maybe but that’s another subject of leverage and compound interest.